Sunwing Airlines has established a new partnership agreement with Mount Royal University and plans to hire its first graduates this coming summer. Mount Royal is the most recent university that the airline has partnered with, and the first in Alberta, as part of its direct entry cadet program for aviation graduates. 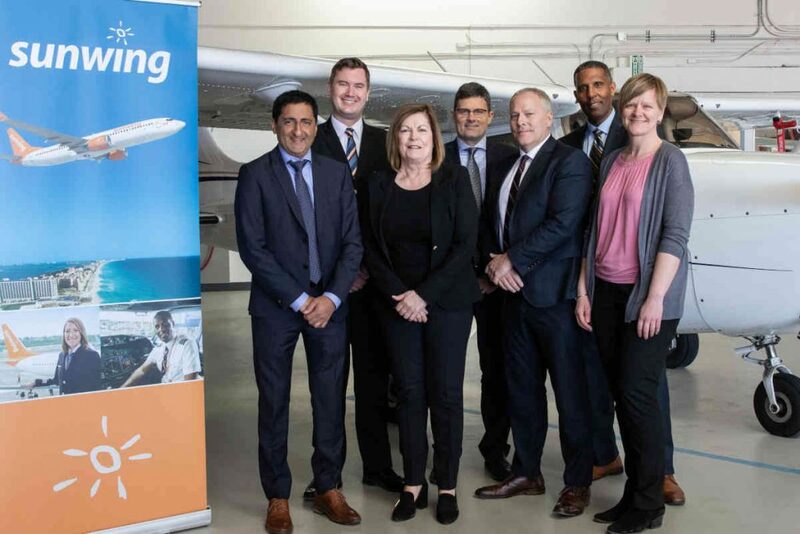 Sunwing already has agreements in place with both the University of Waterloo and Seneca College, both in Ontario, and has hired 24 graduates since the program was established in 2016. The Mount Royal Aviation Diploma is unique in that it offers students the opportunity to graduate with both the academic qualifications and the inflight training needed to become a commercial airline pilot. Mount Royal University Aviation graduates have an average employment rate of 98 per cent. Sunwing explains once licensed to fly the aircraft, newly hired graduates follow its continuous program of line indoctrination and receive mentoring to ensure that they achieve their career goals. Overall, the airline plans to hire between eight and 10 new first officers from its cadet program this coming year. Described as the largest integrated travel company in North America, Sunwing provides direct service from more than 33 airports across Canada to over 45 sun destinations, including the Caribbean, Mexico, and Central America.